I'd been worried that this summer would be lacking in fun for the kids, since I'm finishing up school and thus they have to be at summer day camp through the summer. Not that that won't be the case going forward, but hopefully when I have a job we'll at least have evenings and weekends to spend together, where right now I spend those doing homework. Summer camp has been proving quite fun for the kids. They get to go to the pool or splash park weekly, water balloons weekly, and have had a field trip to the zoo and will have big field trips like that weekly. Gareth got to go kayaking. We arranged with a friend to have them pick up Gareth early one day so that he and his friend could attend an open library session at the middle school and then walk home on their own - an exciting moment for the kids in and of itself. We had a friend of Gareth's over this past weekend to play in the sprinkler and hang out. Gareth has also had a sleepover with another friend for a birthday, and both boys got to hang out with yet other friends. So I think we're doing pretty well at having fun this summer. 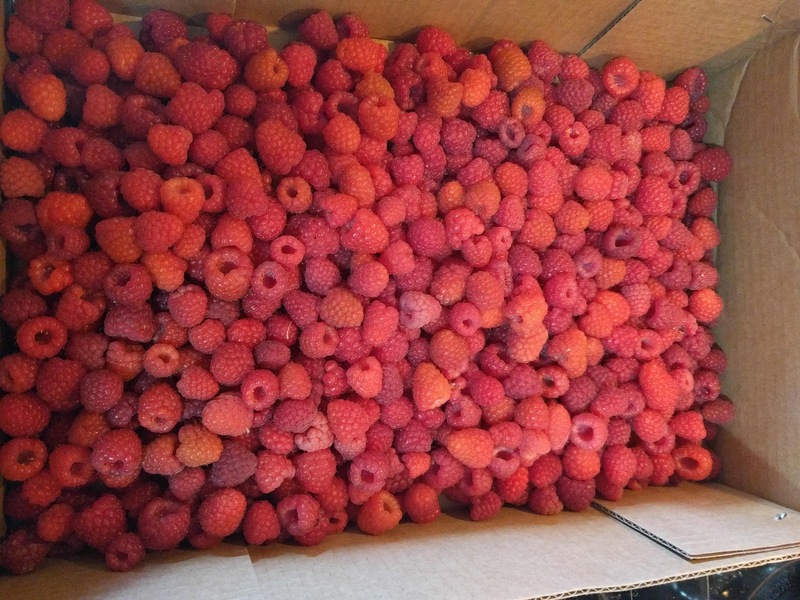 One weekend a friend we don't see often enough posted about raspberries being ready for U-pick. We jumped on the reminder and chance to get together with them again, meeting up at the farm. The kids were surprisingly less interested in picking berries this time around than when we did strawberries, perhaps due to their being other kids there to play with this time. Good thing we brought Ryan's brother along, so we still ended up with 11 lbs of berries (only $3/lb!). We ate many of them fresh, froze a bunch, sent a bunch home with Uncle Daniel, and made liqueur with a bunch. 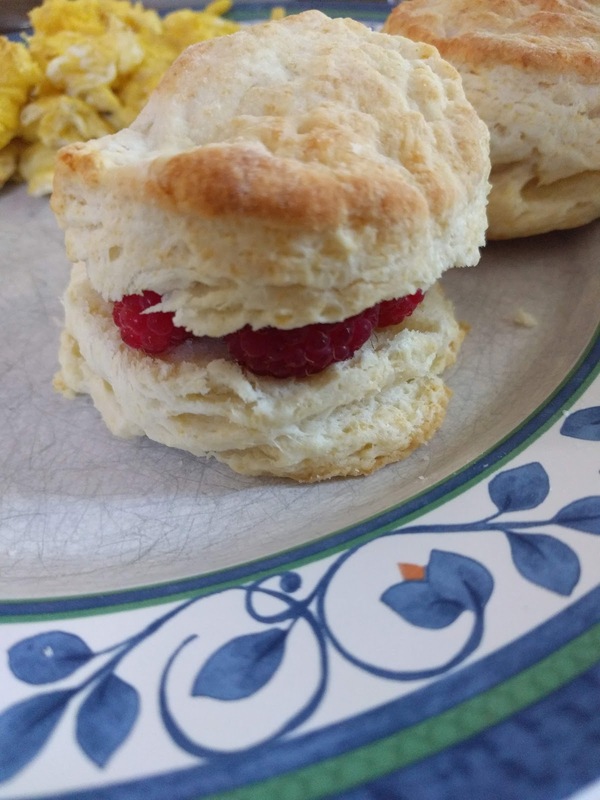 Since we didn't have time to make jam, we just put the whole, fresh berries on our biscuits that night for dinner. Super tasty way to use them. Gareth has another sleepover planned soon. Then some good friends have invited him along on a camping trip to Mount St. Helens area. He's been invited on similar trips before, but we've had other plans or declined previously, feeling he wasn't old enough. Ryan and I are realizing he's getting old enough and responsible enough to start loosening the apron strings a bit. Gareth also has Camp Quest to look forward to this summer. I'm hoping to arrange some playtime with kindergarten friends for Mal to align with some of Gareth's adventures so he won't feel quite so left out. And he gets to have Gram and Grandma and Grandpa all to himself for a couple days before Gareth gets home from Camp Quest, plus gets to go to a pig roast the night of my graduation, lucky kid!